Acclaimed for her musicality and versatility, Erin Wall sings an extensive opera and concert repertoire spanning three centuries, from Mozart and Beethoven to Britten and Strauss. She has sung leading roles in many of the world’s great opera houses, including the Metropolitan Opera, Canadian Opera Company and the Lyric Opera of Chicago. 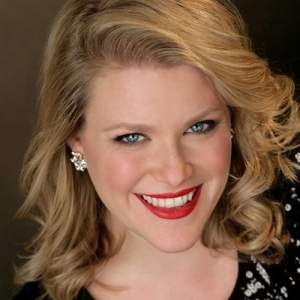 Erin Wall’s current season includes two exciting role debuts: first Elettra in Idomeneo for her return to the Lyric Opera of Chicago and later Chrysothemis in Elektra at the Canadian Opera Company. In concert she sings the Four Last Songs with the Chicago Symphony. Ms. Wall made her debut with the NAC Orchestra in 2007 and was soloist for the Orchestra’s premiere of Zosha Di Castri’s Dear Life in 2015. She performs Dear Life with the ensemble again this season, as well as Claude Vivier’s Lonely Child, both in Ottawa and on tour in Europe. She also appeared at the NAC in 2010 singing Mahler’s Eighth Symphony, a work that has figured prominently in Ms. Wall’s concert career. Her discography includes the 2010 GRAMMY® award-winning recording of this symphony for Best Classical Album, released by the San Francisco Symphony in 2009.